What are the Terms and Conditions of CPS membership? Please click here for complete Silver Membership Terms and Conditions. Please click here for complete Gold Membership Terms and Conditions. Please click here for complete Platinum Membership Terms and Conditions. Please click here for complete Cinema Membership Terms and Conditions. Who is Eligible for CPS Membership? Membership is available only to those individuals (self-employed or employed by a professional imaging business), who play a direct role in the creation of moving or still images for third parties on a full-time basis and are legal residents of the 50 United States or the District of Columbia. How long will it take to receive my CPS membership kit once I join? CPS Introductory Membership Welcome Kits are generally shipped within 7-10 business days from the date an approved membership application has been fully processed by Canon U.S.A. If you do not receive a Welcome Kit within that time frame, contact cpsmember@cits.canon.com or call CPS at 1-888-CPS-4540. What is the “Points System”? CPS has assigned a point value to the ownership of eligible Canon-brand equipment which is used to help determine a professional’s desired or appropriate membership level. Please refer to the “Qualified Products List” links on the “About CPS” page for more information. How do I upgrade my membership level? Login to view your “My CPS Account” page on the CPS website and locate the Membership Information section. Within that section will be displayed an Upgrade button and a message stating the number of points needed to reach the next level. Click the Upgrade button if shown, or update the products listed in your equipment profile as necessary to qualify for the desired level and the Upgrade button will become available. Is there a discount for upgrading to a higher membership level? No. Although members may upgrade anytime during their current membership term, no refunds, credits or discounts resulting from time remaining on that current membership term will be applied to the fee for the upgraded level. What is the period of my membership? Your membership term is one year from the date you accept the Terms and Conditions and pay the membership fee (if applicable). If you renew prior to the end of your current membership, then the new term will be one year from the expiration date of your current membership term. Is my CPS member number unique? Yes. We have coordinated with other Canon companies on a global level to ensure that you are the only one with your CPS member number. Should I contact CPS with my change of address? For your own protection, we require that you keep your current address up to date with CPS. To update your address, you must login and enter your correct address and contact information via the My CPS Account page on the CPS website. CPS staff cannot update this for you. Is there a grace period after my current CPS membership expires? There is no grace period. Your membership expires on the expiration date listed on your CPS member card and in the Membership Information section on your My CPS Account page. Once your CPS membership expires, you will not be entitled to any of the benefits under the CPS program. How do I renew my CPS membership? Twenty nine (29) days prior to the expiration of your one year membership term, the Membership Information section on your “My CPS Account” page will be updated to allow you to renew your membership. An e-mail renewal notice will also be automatically sent as a reminder. Renew your membership as soon as possible to prevent any gap in your membership status. Please note, renewal may take up to 24 hours to process. What happens when I renew my current membership prior to my expiration date? You will not have the option to renew your membership until 29 days prior to your current expiration date. If you renew prior to the expiration date of your current membership term, then the new one year membership term will begin on the expiration date of your current membership term. What will I receive when I renew my membership? Once your renewal is complete, you will receive Pro Rush Repair shipping labels, and CPS Pro Rush Service forms. In Canon's continuing efforts to reduce its environmental impact and pursue its environmental vision, CPS will no longer send a new membership card with each renewal. CPS membership cards no longer indicate an expiration date and should be retained for the duration of your involvement in the CPS program. What happens if I allow my membership to expire? You will no longer receive CPS Member benefits. What other countries have CPS programs? Currently, there are local CPS programs in Canada, Japan, Europe, Australia, Korea, Brazil and Mexico. Please check with your local Canon Sales Company for membership availability in countries not listed here. Your CPS Membership benefits are not transferable to other countries. If you forget your password, click on the “Forgot UserID or Password” link on the CPS Membership Login page and follow the steps to request a reset of your password. You must provide the correct answer to the security questions established during the application process. You will be sent an email with a temporary password, which will need to be reset once you are able to login. If you cannot recall the answer to your security question or have problems resetting or getting your password, contact cpsmember@cits.canon.com or call CPS at 1-888-CPS-4540. If you forget your User ID, contact cpsmember@cits.canon.com or call CPS at 1-888-CPS-4540. What is CPS Pro Rush Service? CPS Pro Rush Service is an expedited repair service offered to current CPS members based on their membership level. Are there any restrictions or exemptions regarding the repair benefits offered under the CPS program? Yes, Silver members are not eligible for any discounts on the cost of repairs to their equipment and cannot receive Repair Coverage Loans. Products sent for repair must be registered in your My CPS Account before they can be sent in. Products sent in for repair that are not registered in your My CPS Account will be processed as a general repair and are not eligible for any discount you may otherwise be entitled to. Additionally, you can only receive a discount on a certain number of repairs depending on your membership level. A repair discount will be applied on up to 10 repairs for Gold Members, and up to 15 repairs for Platinum, and up to 20 repairs for Cinema Members during the membership period. Any repairs on additional units will be billed using Canon’s current standard pricing. How often are the CPS Repair Lists updated? The CPS Repair Lists, which specify products eligible for repair by membership level and based on service life, are updated as new products become available and as older products reach their end of their service life. Do repair discounts apply to Silver membership? No. Repair discounts are available to Gold, Platinum, and Cinema Members only. However, Silver members do receive 3-5 business day service turnaround on repairs. Would my Cinema equipment be eligible for service under Silver, Gold or Platinum levels of CPS membership? Yes, some Cinema products are eligible for expedited service turn around time and/or repair discounts based on the CPS membership level. Please refer to the "Repair List" that corresponds with each CPS membership level which can be found under the Repairs tab on the CPS website. Please note, there is no CMS (Canon Maintenance Service) for any Cinema equipment regardless of CPS membership level. What service is covered under the complimentary Canon Maintenance Service (CMS)? 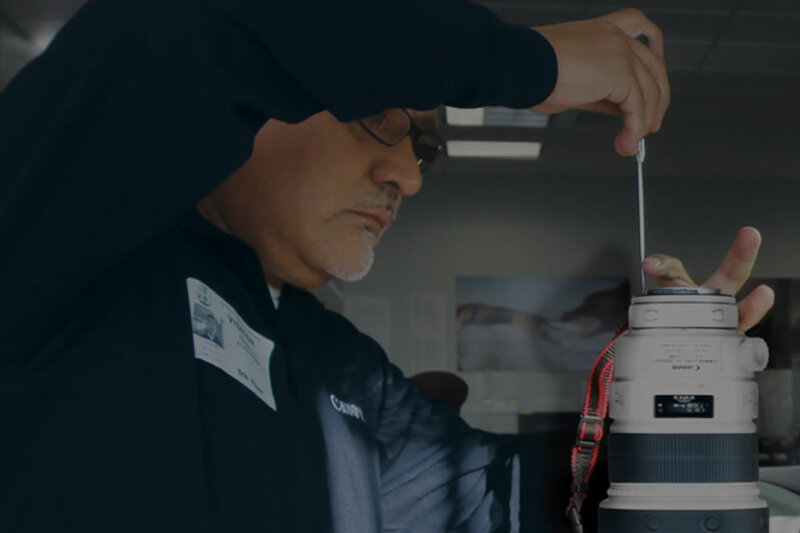 CMS provides preventive maintenance on the DSLR and EF Lens equipment entered in your CPS Account: comprehensive cleaning of the camera or lens (including image sensor cleaning), tightening of any loose parts, and an operational function check. Dust cleaning inside a lens, and any service operation that would require disassembly of a product, are not included in this service. If it is determined that additional service is required, you will be contacted with the details. Eligible CMS for CPS Gold, Platinum, and Cinema members will be an 18-Point Digital SLR Maintenance Service or 11-Point EF Lens Maintenance Service, based on your Qualified Product Eligible for Repair as listed below. 1. Cinema product is not included in this offer. Do the complimentary Canon Maintenance Service (CMS) benefits expire? Yes. As with all CPS program benefits, the complimentary CMS benefits expire at the same time as your membership, and do not roll over if your membership is renewed. Can I share or transfer my complimentary CMS benefits? No. The CMS benefits are applied to your Membership Profile, and cannot be transferred or shared. How does Canon calculate service turnaround time? Subject to the availability of parts, Canon will provide the following Turnaround times on DSLR equipment and EF lenses: Cinema and Platinum members will receive Next Business Day Turnaround Time, Gold members will receive two (2) Business Day Turnaround Time, and Silver members will receive 3-5 Business Day Turnaround Time. Turnaround time begins on the date of repair approval by the member and Canon’s receipt of payment, and ends on the return ship date from Canon. Turnaround time does not include weekends, Canon observed holidays or days that the relevant Canon facility is closed due to circumstances beyond its control (i.e. inclement weather). The CPS member will be notified if there is a delay in the applicable Turnaround Time. The Turnaround Time listed above may vary on Cinema products. Please contact your service facility for more details. What happens if Canon is unable to meet the Service Turnaround Time benefit on DSLR and EF Lenses? For Silver members, Service Turnaround Time is 3-5 Business Days and is not guaranteed. For Gold members, the Service Turnaround Time is two (2) Business Days. Gold Members are entitled to request a Repair Coverage Loan if the two (2) Business Day Turnaround Time has not been met. Please note that Repair Coverage Loans are subject to availability. If a Repair Coverage Loan is not available, a $100 repair voucher will be issued, which has an expiration date of one (1) year from date of issue. For Platinum and Cinema members, the Service Turnaround Time is Next Business Day. Platinum Members are entitled to request a Repair Coverage Loan once your items have been received by our Service Facility. Please note that Repair Coverage Loans are subject to availability. If the Next Business Day Turnaround Time has not been met and a Repair Coverage Loan was not available, a $100 repair voucher will be issued, which has an expiration date of one (1) year from date of issue. How do I request a Repair Coverage Loan? Repair Coverage Loan requests can be made through the service facility to which you are sending, or have sent, your repair. How many pieces of equipment can I send in at one time for CPS Pro Rush Service? No more than 3 pieces per member from the CPS Repair List can be sent in for Pro Rush Service at any one time. In the unusual circumstance where more than 3 pieces may need repair at one time, please contact the nearest Canon Factory Service Center first, so that special arrangements can be made, if appropriate. For Qualified CPS Cinema Products, if more than 1 piece is sent in at a time, turnaround time is not guaranteed. What if I need more discounted repairs annually than are provided in my Gold, Platinum or Cinema membership? Canon offers an Enterprise CPS program that is customized to provide service and support benefits to medium and large sized organizations that own large quantities of Canon imaging products. Please call 1-855-440-1598 or email (enterpriseCPS@cits.canon.com) for details. How do I send my equipment in for repair? Log into your CPS account to locate your repair facility's info. For Gold members, simply use the shipping address listed and mail in your equipment. For Platinum and Cinema members, contact the repair facility prior to shipping for a prepaid FedEx shipping label. Please contact your service facility if you need further assistance. Who can receive Equipment Evaluation Loans? Equipment Evaluation Loans are available only to Gold, Platinum and Cinema members in “good standing” (as defined in the Program Terms and Conditions). Loaned equipment can only be shipped within the 50 United States or the District of Columbia. Cinema and Platinum members receive priority access over Gold members to Equipment Evaluation Loans. How many Equipment Evaluation Loan requests can I make? Only one Equipment Evaluation Loan may be requested or be in process at a time. Once an active loan is returned, then another can be requested according to the advance notice required per membership level. See the membership Terms & Conditions for the applicable level for further restrictions. What equipment is available for Equipment Evaluation Loans? See the Equipment Evaluation List by membership level on the Equipment Loans page on the CPS web site. How do I request an Equipment Evaluation Loan? See the Contact Info section on your My CPS Account page on the CPS web site for contact information. Gold member requests require a minimum of two weeks advance notice. How are Equipment Evaluation Loan shipping costs handled? CPS covers outgoing shipping costs for Equipment Evaluation Loans. Members are responsible for return shipping, packaging and shipping carrier insurance costs. Can I request Equipment Evaluation Loans for a specific time period or assignment? No, Equipment Evaluation Loans are processed on a first-come, first-served basis by membership level, loan history and are subject to availability. Although we strive to keep our loan equipment functioning properly, it is borrowed and used extensively so, we highly recommend that you have your own backup equipment. How often may I evaluate a particular piece of equipment? Gold members have an Equipment Evaluation Loan limit of once per lifetime per item. Platinum and Cinema members have an Equipment Evaluation Loan limit of twice per lifetime per item except for products indicated by an “*” on the Evaluation List, which may only be loaned once per lifetime per item. When I renew my membership, does the Equipment Evaluation Loan limit per item reset? How long is the duration of an Equipment Evaluation Loan? The duration of an Equipment Evaluation Loan is ten calendar days, starting when the loaned product is shipped to you and ending when we receive the loaned product back. Who is responsible for the CPS Equipment Evaluation Loan equipment and accessories? In accordance with the CPS Program Terms and Conditions, the CPS Member is responsible for all products and accessories borrowed including, but not limited to, caps, straps, hoods, cases, covers, batteries, cables, etc. CPS equipment sent to you includes all appropriate accessories. Damage to/or loss of any item while in your possession will be billed to you. Insurance on borrowed equipment is the CPS Member's responsibility. Can I return equipment I have borrowed in the USA to other countries that have CPS? No. You must return Equipment Evaluation Loan or Repair Coverage Loan equipment to the USA. A return shipping label is included with every loan and lists the return address. If my equipment is lost or stolen can CPS help me? If your equipment is lost or stolen, CPS will attempt to provide, at our discretion, loan equipment on a short-term basis for Gold, Platinum, and Cinema members. The CPS program is not intended to be used to permanently replace your equipment. CPS may request additional information regarding the incident. 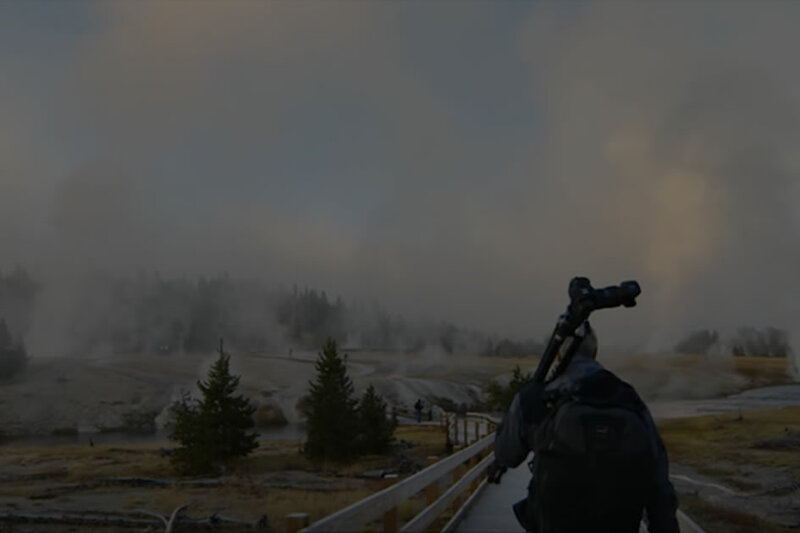 Is it possible to buy used Canon equipment from the CPS program? No. CPS does not sell used equipment. However, Canon may occasionally offer special programs on direct purchases via the Canon Direct website (http://shop.usa.canon.com). If I need technical information or advice regarding my Canon equipment, who should I contact? One of the benefits of membership is direct access to our expert technicians and professional product agents. We make it easy for you to reach the right person to answer your questions. Refer to the Contact Info section on your My CPS Account page on the CPS website for the CPS Hotline contact information. How is the fee calculated when I upgrade my membership level? The full fee for the new membership level will be charged. Is there tax on the membership fee? Yes. Tax is added to your membership fee based on your local tax rates. If I cancel my membership am I entitled to a refund? No, there is no refund. Please review all of the benefits prior to joining to determine the level that best suits your needs. We also recommend that you review the CPS Program Terms and Conditions, CPS Program Eligibility Requirements and Benefits for your selected level, and CPS FAQs carefully. Are printers available for Equipment Evaluation Loan? No. Printers are not available for Equipment Evaluation Loan. Who do I contact for service regarding my printer? Please contact the CPS Hotline number listed in the Contact Info section on your My CPS Account page on the CPS website. What is the Warranty Exchange Program (WEP) for printers? The Warranty Exchange Program exchanges your product with a replacement product when a repair cannot be corrected over the phone by our Canon Customer Care Center. As a CPS member do I receive special WEP privileges? For Gold members the replacement unit is shipped via 2nd Day delivery service. For Platinum and Cinema members the replacement unit is shipped via Next Day service. Can I call for service support on weekends? No, CPS members with a PIXMA PRO-Series printer registered to their CPS account can receive support M-F 8am-8pm. Refer to the contact info section on your My CPS Account page on the CPS website for the CPS hotline number. to take advantage of membership perks.